South African woman with soft sea-sand filled cloth torso and ceramic head and extremities. 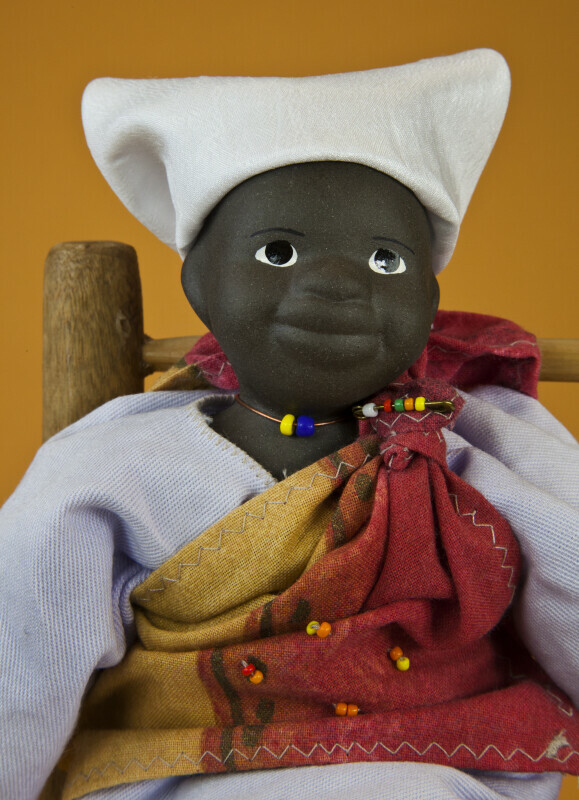 She is an Umntwana ethnic art doll, made from stoneware-fired clay. Her eyes are hand painted on her face. Her head cover is a white scarf, tied in a triangular style. She has a necklace made from copper wire and beads. She also has beads on the pin holding her shawl. This figure stands 10 inches (25 cm) tall.